Google Drive Desktop App is one of the best cloud apps of the cloud storage world. Google backup and sync the data on a time interval basis. The user can use up to 15 GB space through google drive desktop app. After that, you have to subscribe to the premium version of storage. People use this app because of reliability, performance, capacity, market reputation and the cordial behavior of Google team. Mostly, the students, homemakers, amateur photographers, and research personnel use the novel cloudapp. Google drive is the file storage, backup and sync service of tech Giant Google. They started their journey on 24th April 2012. Google drive provides the opportunity of file sharing, sync within the various device, file backup and file sharing. There is the google drive offline facility of google drive desktop app. The activities of Google document, Sheet, google slide, drawing, forms, and maps are stored, backup and sync my google drive. Google LLC is the owner of the service of the Google Drive Desktop App and Google Backup and Sync. According to July 2018, almost 1 billion people use the service. Python is the programming language of the application. Everybody believe that google drive desktop app is one of the versatile creation of technology developer. Because of google drive desktop application, you get the teste of cloud computing from your local computer. Google Drive desktop app is nothing but a connected application between your local computer and googles cloud platform. If the internet is connected it begins updating through google backup and sync systems. Actually, it is also connected with Dropbox that’s why a copy of all the documents can be sync with Dropbox storage. By Google drive desktop app you will get access to all of your data like local PC. To Setup Google Drive Desktop App you have to download Google Drive Desktop App from google website. After visiting the website you will find two options like Google drive for personal and for business. Back up files from your computer, camera, or SD cards to the cloud. 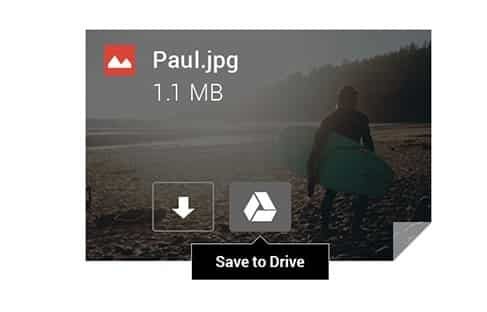 You will find your sync files on any computer or device using Google Drive, and you will also see your photos in Google Photos. 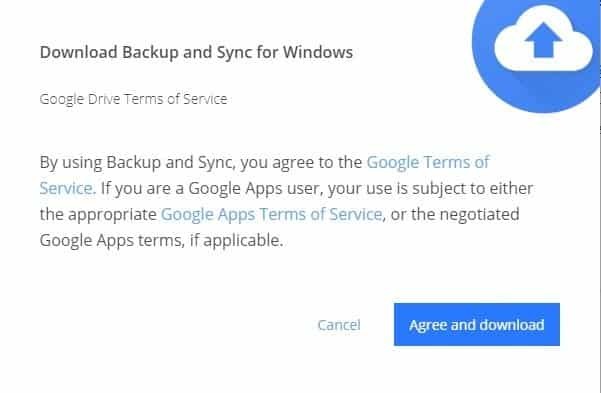 If you use Google Backup and Sync service, you have to agree with the Google Terms of Service. For a Google Apps user, the two options like either the appropriate Google Apps Terms of Service or the negotiated Google Apps terms, anyone can be applicable to you. Finally you are almost done. Lets enjoy Google Drive Desktop App for Backup and Sync. 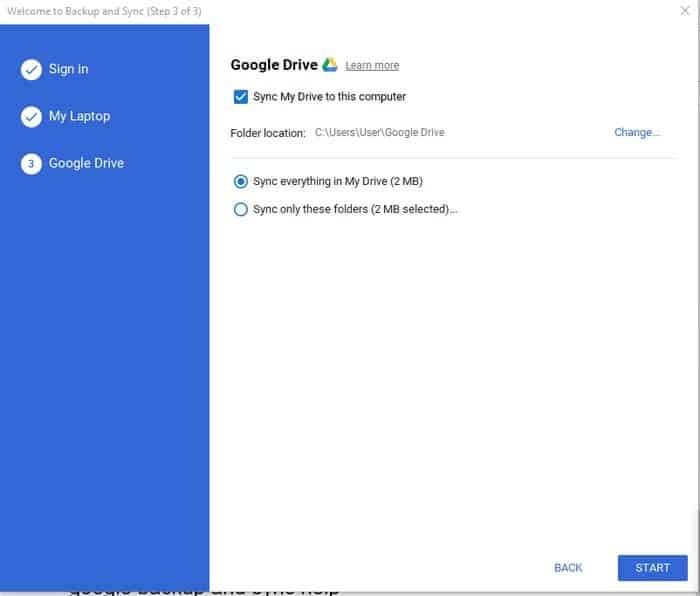 If you press next google will auto sync your local drive to cloud drive. Google offers 15 GB storage free. This free space includes Google Drive, Gmail, Google photos, docs, PowerPoint slide, excel sheet all your stored document. If you reach 15 GB you can upgrade more if you want. Any file if it is in digital form you can preserve it in google drive. You can store any files like photos, movies, pdf files, docs, text files, or own digital creation. 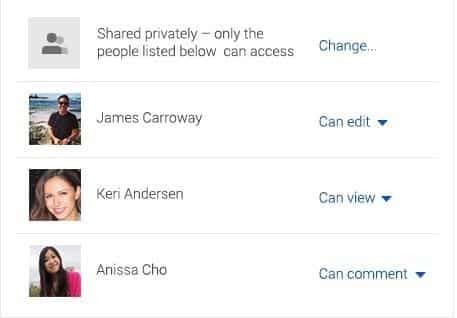 All the data of google drive is private. You can share the data according to your wish. You can share whatever you like. It is easy to invite others for the view, comment, edit and get corrections from peers. Now collaboration is easier. The data of google drive is safe and secure. No doubt regarding the secrecy of hosted data. Data is the more valuable asset of any organization so google focus more on security. If anyone sends you an attachment with Gmail then you can store it with google drive. You will see the logo of google drive on attachment. If you click on that you will see the attachment is stored to google drive. The search mechanism of google drive is very powerful. If you search “Cloud Computing” you will find all related documents within no time. It will reduce your time gap. Photos are the asset of personal life. Today’s photo is tomorrows past. Google backup and sync photos automatically. 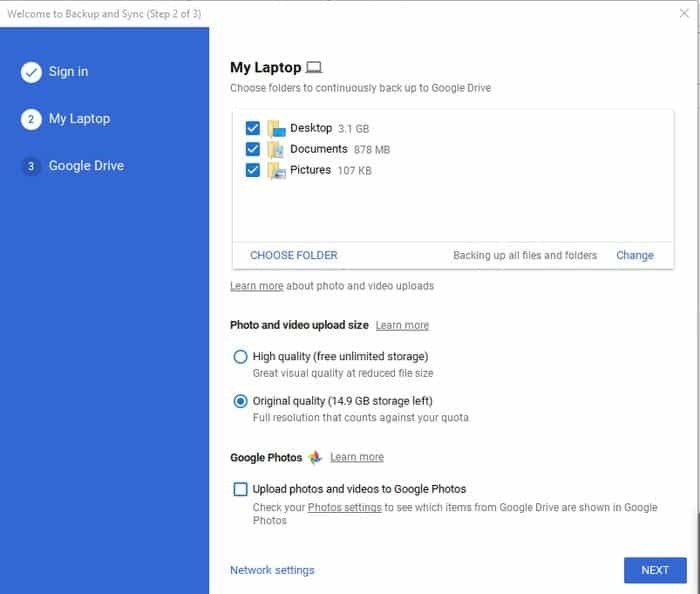 The photos will auto sync from your tab, smartphone or SD card and stored at Google cloud as well as google drive desktop. Google Drive application is built-in to Chromebooks, so all the files and photos are mechanically backed up. The users will get 100GB of free storage for the first two years with most new Chromebooks. If google backup and sync setting are correct then you will get all the Google Docs Sheet and Slide from your smart device. Now life is easy, flexible and comfortable. Google form is the wonderful creation of Google LLC. You can make a survey with Google form. All the forms will sync google drive to the desktop for your future reference. It is easy to create flow charts, layout diagrams, and then easily add them to other documents or embed them on any website with Google Drawings. There are lots of tools available for drawing. This video will help you to know the products of Google Drive Collections of various application. 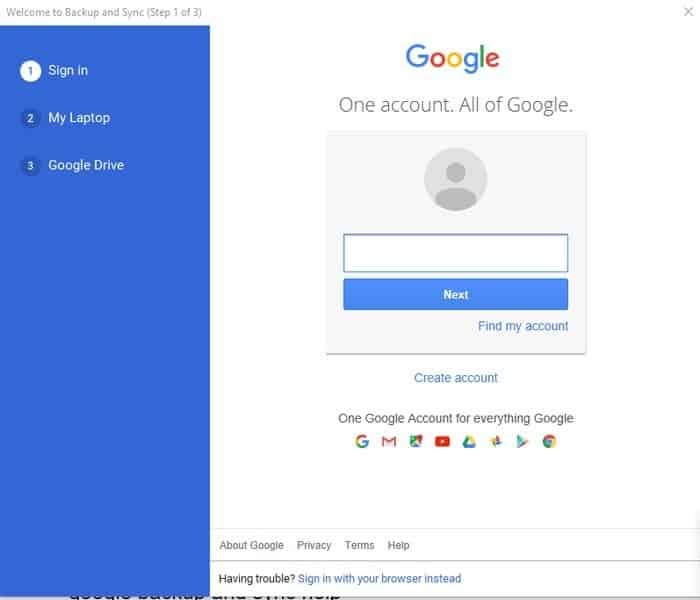 If you want google Backup and Sync from your local computer you have to use Google Backup and Sync service through your personal Gmail. If you make the sync on then all the data will make updated. Google Drive Desktop App is a splendid tool for Backup and Sync. As a technology lover, you must know the available google application free for use. No doubt, this application can change your lifestyle by its various products. Moreover, Google Backup and Sync service bring your data to anywhere and any place. 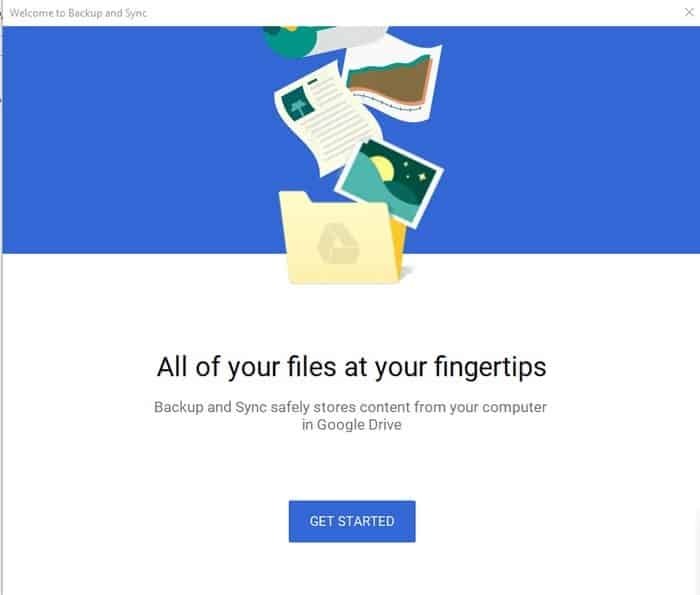 So you should comment if you use the Google Drive Desktop App for Google Backup and Sync.